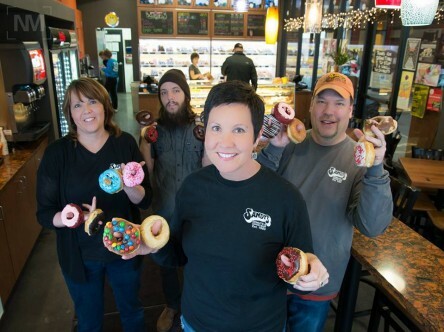 In September of 2014 we opened our second location to help feed the Donut Craze that has consumed this town. We are right by the Fargo Theater on Broadway in historic downtown Fargo, North Dakota. Come and experience our beautiful and fun downtown. Enjoy a cup of Stumbeano’s Coffee while you try to choose which one of the 70 plus flavors you want to eat. You may just have to bring a few home to try later. 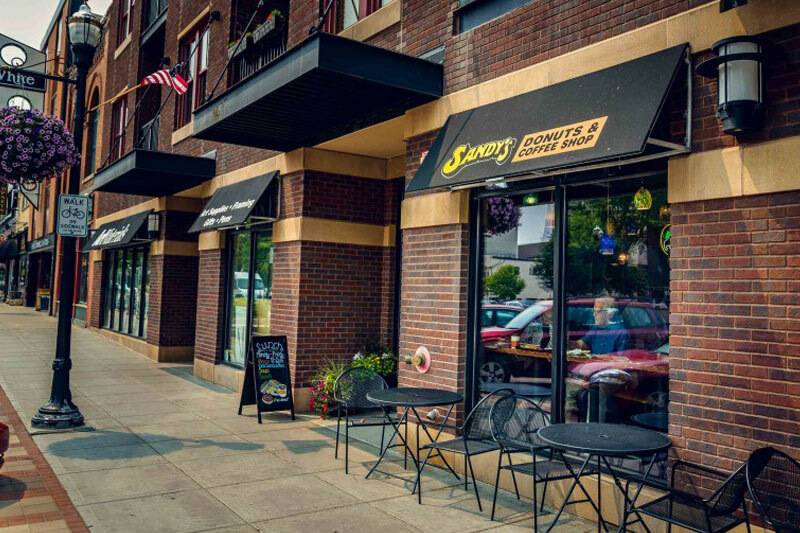 After your coffee you can stroll thru downtown checking out the many unique shops, have some wonderful food at one of the great restaurants, or even take in a movie at the historic Fargo Theater. 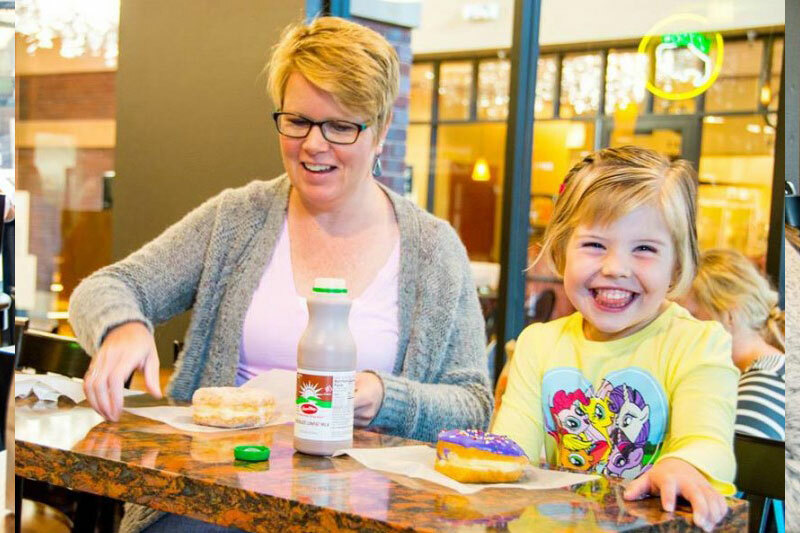 Our Broadway location is a bit smaller than our flagship location in West Fargo but still has plenty of room for you to meet your friends for coffee and a donut. It has a great classy downtown feel and is open from 6:30 am to 7:00 pm Monday through Saturday and 6:30 am to 1:30 pm on Sunday. 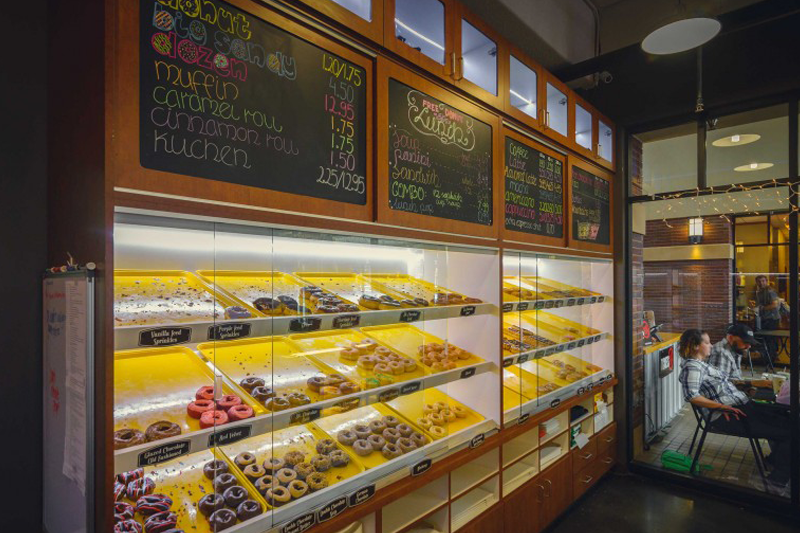 Need donuts for a meeting, It’s your birthday, or because you are late for work? We got you covered. We can even deliver them right to your office. 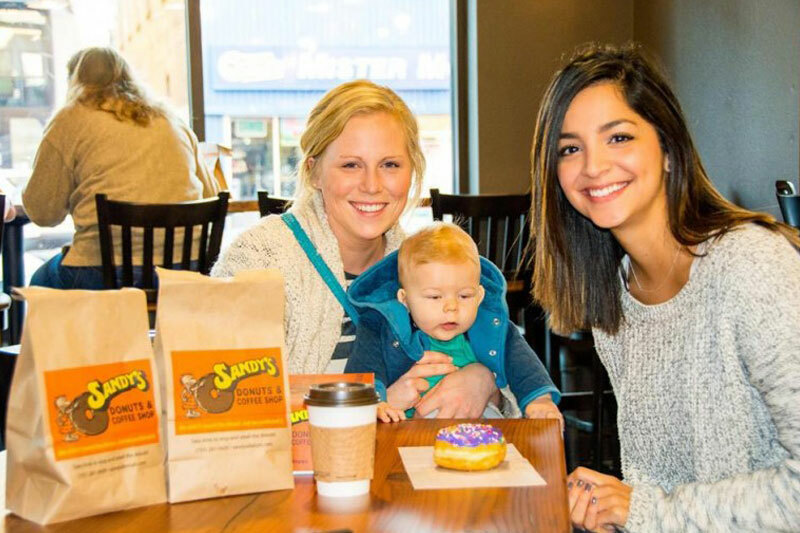 Saturday and Sunday are family days at Sandy’s. Stop in before heading to that sporting event or stop in and grab a few donuts before or after church or maybe on your way to the lake in the summer. Whatever you have going on just remember to “Take Time to Stop & Smell the Donuts”.